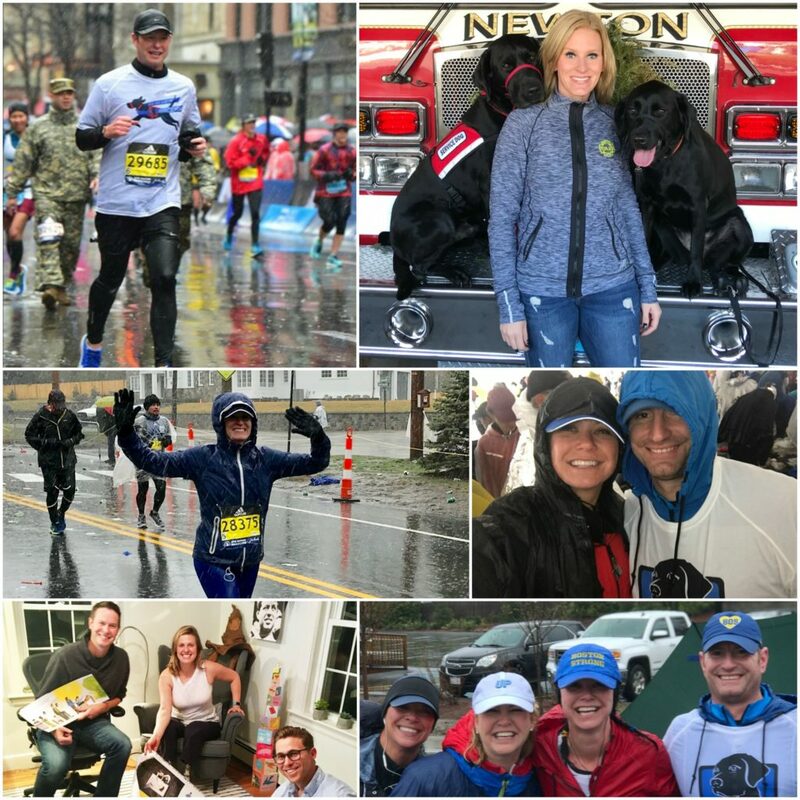 Thank you to the Boston Marathon runners who ran for NEADS: Kelly Salem, Shaun Mezzetti, and Scott Magoon. You made it – rain, wind, and all – and we are so grateful for your support. WHY THEY RAN. While each of the runners has a different story to tell, they all ran to support NEADS and our world class Service Dog teams. Kelly is a committee member of NEADS’ annual fundraiser, Get Dressed. Give Back., has a NEADS furloughed favorite, and named the puppy Salem, who was just matched with a client. Shaun, a Veteran of Operation Iraqi Freedom, told us, “I hope that the donations raised from my marathon training efforts will help to grow the organization and help its outreach to expand into the lives of soldiers recovering from injuries sustained in service to our Nation.” Scott, the illustrator of the best-selling Rescue & Jessica: A Life-Changing Partnership, featuring NEADS Service Dog Rescue, was caught between the two explosions during the Marathon bombing 5 years ago and was thankfully uninjured. He was inspired by Jessica, Patrick, and Rescue to run again on the 5th anniversary. Congrats to all, and thank you!